Pro Coro has been busy rehearing with the University of Alberta Madrigal Singers in preparation for our Good Friday concert together featuring works by Composer, Paul Mealor. Mealor has traveled to Edmonton and is in Canada for the first time to hear his works sung by PCC and MAD's. It is always a treat to have a composer actually part of the rehearsal process to provide context and clarification for the work they have written. 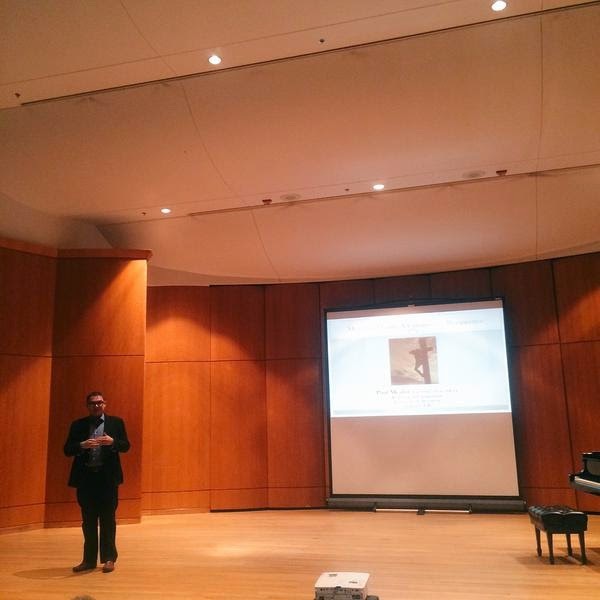 In addition to sitting in on rehearsals, Mealor presented a lecture on Faith and Music earlier in the week. He outlined the meticulous construction, symbols, shape, imagery, and thought process behind his works, such as Salvator Mundi, O vos omnes, and Stabat Mater. Mealor began with a disclaimer to the audience to not fear because there would be no undertones of religious recruitment during his lecture. Mealor stated this with a smile and the audience chuckled. Mealor highlighted some of the techniques he uses in his pieces such as using contrasting dissonances in chords to create a sense of suffering or how many sharps and flats there are in the key signature to symbolize the cross, trinity, or five wounds of Christ. In Mealor's Stabat Mater, the poetic text details the sorrow of the Mother Mary at the base of the cross weeping for her crucified son. I have a great amount of respect for the history and role of sacred choral music in our society. I cannot ignore the electric tingle buzzing beneath my skin when I hear some moving sacred music. Regardless of religion, faith or spirituality, music has the power to deliver and amplify a message. Music connects to individuals who are listening. I have faith in music. Over the past few days since hearing Mealor's lecture and working on his pieces in rehearsal, I have been given time to just sit and meditate on a musical work. 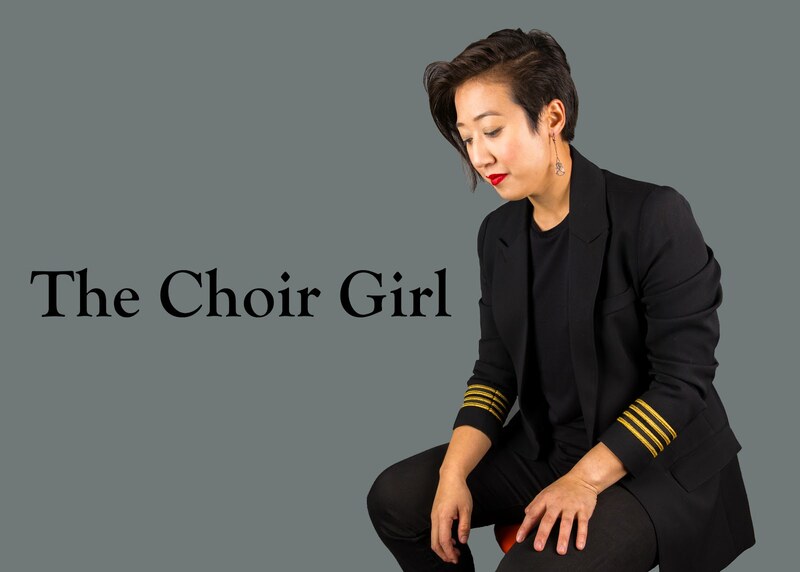 All my fellow choristers are on the same musical frequency and its signal is strengthened because the Mealor is physically present to connect us to the thoughts in his mind and music. It is a moment to be grateful as a performer to have a reflective moment of connection. 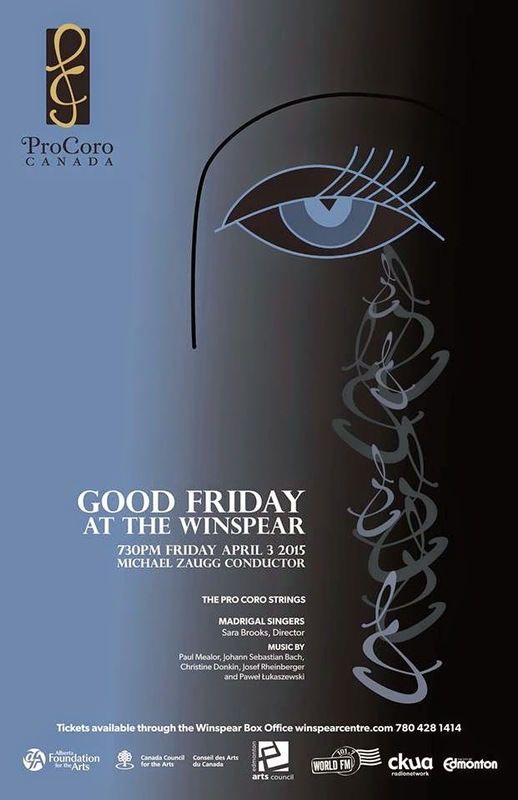 If you are free this Friday at 7:30 PM, you know where I'll be singing. Beautiful description, Sable. Wish I could be there Friday. wish you could be there too ione! I hope all is well in Calgary!